I am responding to a recent post with the reasons why I believe Joseph was not a polygamist in spite of all the “evidence” that he was. 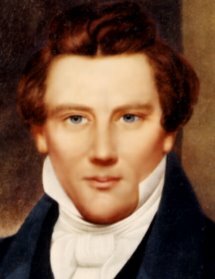 First, I believe he was a prophet of God because I have received testimony from God that the work He did through Joseph—Book of Mormon, Inspired Version, Doctrine and Covenants (not including Utah LDS D&C 132), restoring His true Church in 1830—is true. For God to have used Joseph to do these things, Joseph had to have been a good, honorable man—not a lying, wicked one. As it says in Helaman 2:59, the “Spirit of the Lord doth not dwell in unholy temples." Second, the reasons given by those who say he lied about his involvement in polygamy are pretty shallow. One reason given is that Joseph was afraid to admit polygamy because he feared for his life. However, he had been beaten and incarcerated many times for issues not related to polygamy. If polygamy was a commandment of God, why would he fear admitting this to the public? He certainly would not have been treated any worse than he already had. The fact is that if polygamy was a command of God as many say it was, Joseph would have made it known publicly just as he had done with the rest of the Restored Gospel. The fact that he denied its practice is evidence it was not a command of God and he did not practice it. Another reason given for Joseph’s denial of polygamy was to protect Emma and keep it secret from her. Those supporting this position also believe the affidavits of Eliza and Emily Partridge (Historical Record, Volume 6, Edited and Published by Andrew Jenson, 1887) are true that Emma was present at their plural marriages to Joseph. However, proponents of these two positions cannot have it both ways because the positions are in opposition to each other. If they support the Partridge sisters’ affidavits, they have to give up the “protection of Emma” reason for Joseph’s lying about polygamy. If they do not support the Partridge sister’s affidavits as true, they punch a big hole in the evidence against Joseph because the Partridge sisters are considered eye-witnesses that Joseph practiced polygamy. Thus, the “protection of Emma” argument is very weak. Since there was no good reason for Joseph to keep silent about practicing polygamy, the fact that he continued to publicly deny it supports the position that he was telling the truth about not teaching or practicing polygamy. Third, those that knew Joseph best and were with him the most—Emma and Joseph III—were convinced he was not a polygamist. Until Emma’s dying day, she testified that Joseph was only married to her and had no other wives. Emma was known for her honesty throughout her entire life. If she had observed plural marriage ceremonies with Joseph, as the Partridge sisters stated, she would not have faithfully insisted he was innocent. Joseph Smith III spent his entire life interviewing people who allegedly knew his father was a polygamist. Through all of his investigations, Joseph III never found a shred of credible evidence (facts and not opinions), even from alleged plural wives, to prove his father guilty of polygamy. He remained faithful to this position until the end of his life. Fourth, the case presented against Joseph is biased. It is obvious Joseph is on trial in the minds of many people. Some say he was a righteous prophet of God. Some say he was an evil liar. Some are undecided. Since he is in essence on trial, it is my belief he should be afforded the same rights as anyone on trial. He should be assumed innocent until proven guilty. The evidence used to judge him should meet judicial standards--only facts, not opinions or hearsay, should be used to render a judgment. Unfortunately, the books that are being written today supporting the position that Joseph was a polygamist do not use that approach. While they appear at first look to use a well documented, unbiased approach to this subject, their basic premise is that Joseph lied and everyone else told the truth. Their books presume Joseph’s guilt, not his innocence. I say this because they omit pertinent evidence of his innocence: his writings, statements of Emma, Joseph III’s interviews, Temple Lot Case, etc. Some of the evidence they quote is hearsay and opinion, not fact. They make little attempt to evaluate the evidence based on how close to the event the statement was recorded or whether there was motive to lie. In my opinion, based on judicial standards, the evidence they do quote is dubious in nature. The allegations of John C. Bennett cannot be given serious consideration because he was a liar and an adulterer and had motive to impugn Joseph’s character. The allegations made in the Nauvoo Expositor were just that—allegations. There were no names, dates, or places given to corroborate their truth. The testimonies published by Andrew Jenson in the Historical Record 6 (which are the heart of the evidence against Joseph) were made thirty to forty years after the alleged incidents by those heavily involved with polygamy in Utah—some of which were wives of Brigham Young and other Utah LDS Church leaders. They were not unbiased witnesses that recorded their observations chronologically close to the events. When some of these witnesses were cross-examined in the Temple Lot Case in the 1890s, their testimonies fell apart. Even though the Utah LDS Church provided their best witnesses in that trial to prove Joseph began polygamy in the Church, the U. S. Circuit Court Judge ruled there was not sufficient evidence presented to prove Joseph taught or practiced polygamy. Thus, when judicial standards apply, the evidence against Joseph becomes weak. And if the evidence against him is weak, he should be found innocent, not guilty, because in our nation innocence is presumed, not proven. Fifth, Joseph has no proven children of alleged polygamous marriages. One of the main purposes of polygamy was to produce offspring. If Joseph married over thirty wives, which author’s say he did, his offspring from polygamist wives would have been numerous, as was the case with Brigham Young. Joseph had several children by Emma and thus would have had several by other wives. Yet DNA is proving Joseph had no children other than with Emma. This fact is proof, according to the purpose of celestial marriage, that Joseph had no wives other than Emma. In light of all the books being published against Joseph, it helps me to remember that the intent of the authors of these books is not to tell the truth. It is to dissuade my belief in Joseph as a prophet of God. This approach was used within the RLDS Church to move it into mainstream Christianity, which has happened to the Community of Christ. I believe it is the intent of these authors to do the same with the Mormon Church. I just saw your comment on my blog, Pure Mormonism". Thanks very much for telling me of the existence of your blog here. It looks like it will be a valuable resource for me. Very glad to see some of the things you're writing about! I found this blog through that same comment. It really takes a lot of guts and effort to do something like this and I'm surprised there haven't been more inflammatory/trolling comments in a lot of these posts (not that I'm wishing it on you). I recently commented on an article related to "What can a married couple do if they have disagreements on following the Word of Wisdom?" From reading it, it was painfully obvious that the people involved did not have an understanding of the Word of Wisdom as it's outlined in Section 89. Thus my comments were along the along the lines of, "To first be able to know if they agree/disagree, they first need to know what they're disagreeing on," and outlined portions of the WoW that are not in the Doctrine and Covenants but have become instituted policies of the Utah LDS church not revealed through revelation. The first reply was, "This has got to be the fastest incident of thread-jacking on record," and saw nothing beyond that other than the normal attempts to justify turning the WoW from a principle with promise into part of the Law of Moses. It's also quite ironic that the most miserable place to be Utah LDS is Utah itself. Don't believe me? Look at the rates of depression and crushing debt in the state and remember that it's still 70% Utah LDS. James Whitehead in the Temple Lot Suite claimed he had claimed he saw a pre-altered copy of the July 12, 1843 revelation at Winter Quarters. Although his claim that it was altered cannot be proven the denial of the Expositor allegations suggested it had to do with ancient polygamy and I feel polygamy in the eternity via eternal marriage. I feel Joseph Smith 3rd felt James Whitehead was right about some of the 1852 published version forged. Yet by admitting his father had been sealed to Melissa Willis as an eternal husband agreed with the partially authentic published version theory. Bro. Hewitt are used as an example of an Elder under apostasy charges for teaching speculations about the making of Gods, devils and angels if I remember the content right. Such ideas are attributed to Joseph Smith Jr. in the polygamy revelation and the King Follet sermon. Van Hale responded to RLDS Apostle Russel F. Ralstons concerns about the sermon in his Fundamental Differences book. Richard and Pamela Price cite William Marks dodge to his statements that Joseph Smith Jr, was deceived by church leaders and not about polygamy being true doctrine. And added to even a partially polygamy document there are Nauvoo era documents that implicate his father in marriage speculations at Nauvoo. You make a lot of allegations and conclusions. What are your sources? Please quote them.